This modern cottage is a detached building in the small coastal village of Southerness. Well equipped and furnished to a very high standard throughout, the property offers brand new comfortable rooms. These include two double and a bunk bedroom, a fitted kitchen, dining, lounge (with fold out double sofa bed) and a wet room.. With off-road parking, spacious garden and patio and bbq area this is an excellent place for a seaside break with extended family or with friends. Wet room, suitable for the disabled and infirm with paddle taps and thermostatic shower, also towels are provided. Fantastic property with lots of equipment. This is a very good sized property, furnished to a high standard for a very cosy stay. Furniture and beds were very comfy and the kitchen was well equipped with mod cons. The able-bathroom/wet room made it easy to supervise children in the shower. The property had lots of equipment, including children's outdoor games, x box and DVDS. We appreciated the very helpful owners who made sure we had everything we could possibly need for our stay. The location is fantastic as very quiet but near the shops/local amenities of the Southerness Holiday Park: the Paul Jones Hotel do home cooked meals to a high standard. Hi Joanne, we are so pleased that you are your family enjoyed your stay and would love to see you return at some time in the future. Just yards away from the sandy beach. 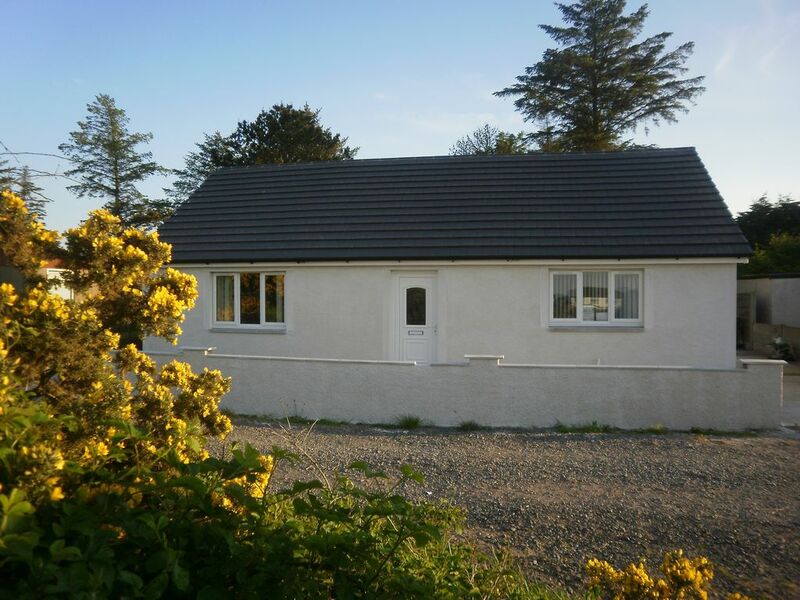 This charming bungalow, seaside retreat Seascape is situated in the seaside village of Southerness this detached bungalow is yards from the sandy beach and provides modern accommodation from which to explore South West Scotland. Seascape enjoys sea views to the front and views of Criffel and the Galloway Hills.Located on the spectacular Solway Coast near Dumfries and close to the stunning Galloway Forest Park, Britains largest forest park, is a popular area for walkers and cyclists with world class mountain biking at Dalbeattie 7 stanes nearby. Unspoilt villages, dramatic coastlines, sandy beaches, rocky coves, magnificent gardens, castles and ancient monuments to explore. Wildlife is in abundance with the RSPB Nature Reserve just along the coast. A championship golf course (Southerness Golf Course) is close by, with a further good selection of golf courses within Dumfries and Galloway. Shops, pub and restaurant 500 yards. Drumlanrig Castle and Mabie Farm Park are within easy reach.